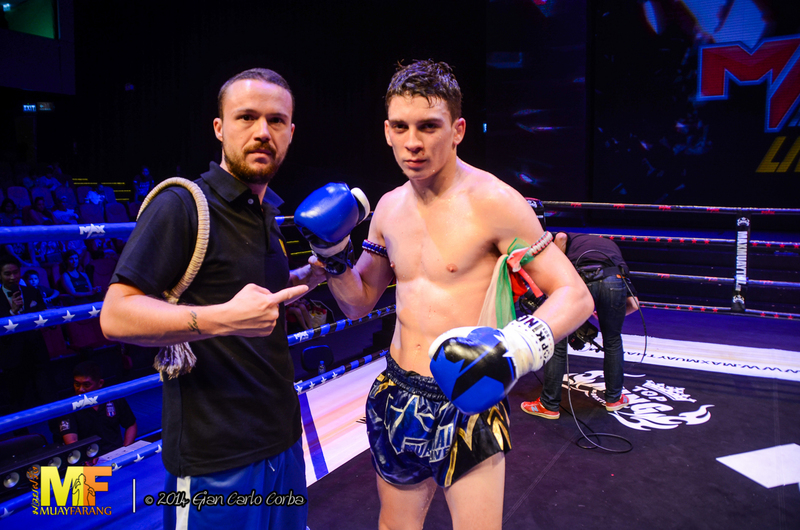 Yesterday (Sunday 11-05-2014) Mathias Gallo Cassarino (Muay Farang Captain) literally outclassed Denkiri Sor Sommai an ex Lumpinee Champion who in the past was called: Dhenkiree Kiatgesorn. Mathias brings home his 3rd consecutive victory at Max Muay Thai. 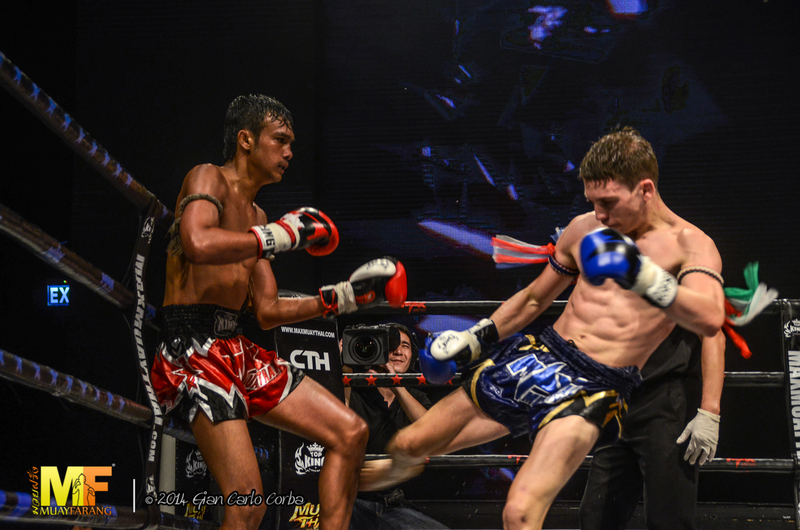 This prestigious event from now on will be aired every sunday on Thai TV Channel “CTH” with a new format: Max Muay Thai LIVE – Weeekly. 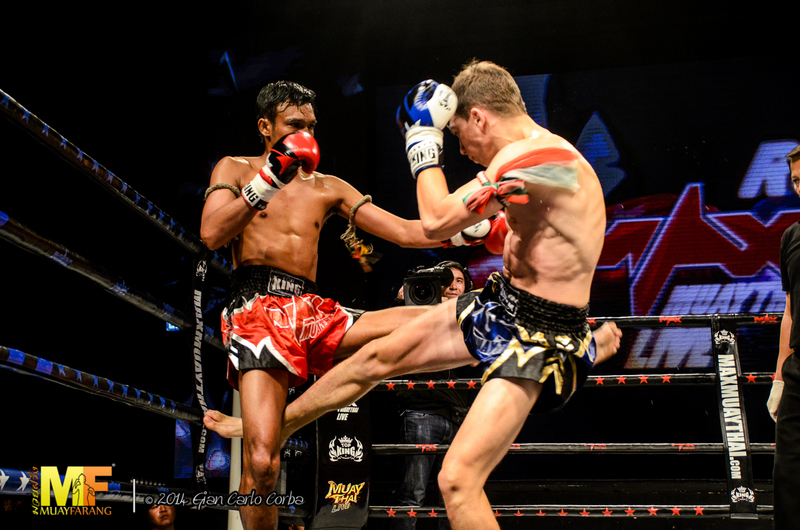 Denkiri is 1,80m tall and is considered as one of the 40 best fighters in Lumpinee Stadium as stated on the Lumpinee’s official website – Link. 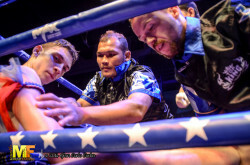 A very dangerous fighter in Clinch and with his elbows since ha has long arms. 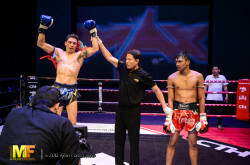 In the past Denkiri won the Lumpinee belt and faced the best 60kg Thai fighters as: Pen-ake Sitnumnoi, Saketdao Phetphayatai ( Muay Thay Max Champion 2013 – 67 kg ). 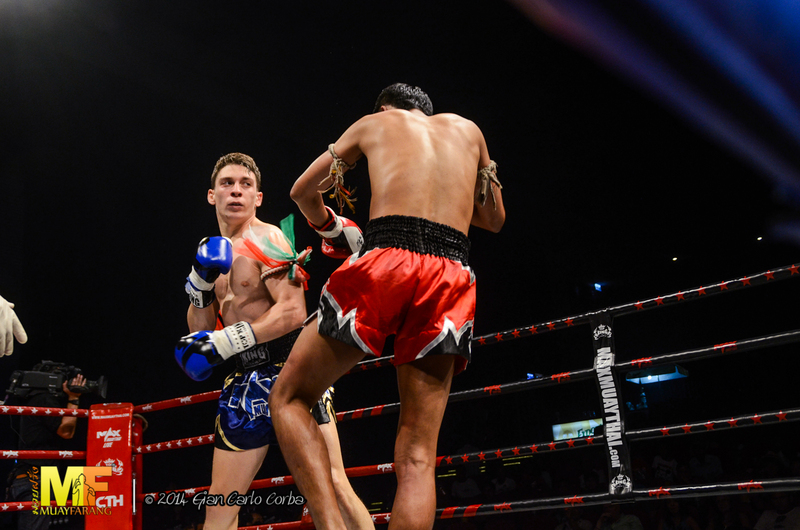 In the fight Mathias started from the beginning with series of punches and low kicks. As always Denkiri sfoderare his elbows and goes in Clinching, but Mathias controlled and dominated him also in the Clinch. The audience loved and went crazy for Mathias. At the end of the 3rd Round Denkiri accepts Mathias’s technical and physical impressiveness. At the end of the fight Mathias revealed that in the last week he couldn’t train well because he has been sick. Mathias 26 days ago also faced the strong Thai Rungravee Sasiprapa (video 14 Aprile). 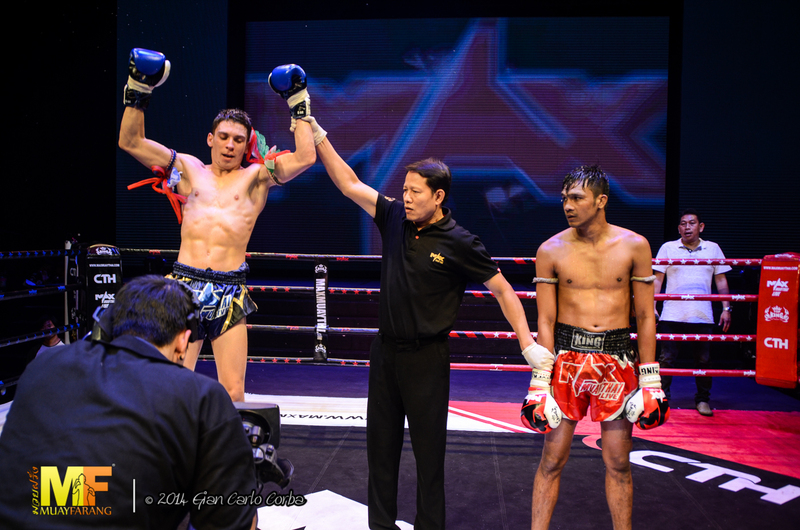 With this victory in Max MT Weekly Mathias becomes a new superstar of this weekly/sunday Max Muay Thai edition.